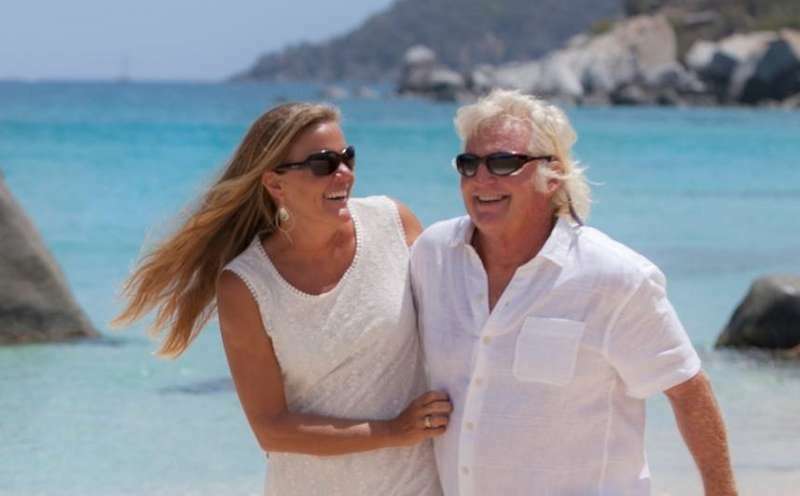 Tim and Julie have extensive knowledge and love of the Virgin Islands ensures that you will have the best vacation of your life. While developing their charter yacht business, they have maintained and upgraded the McGregor so that it is now one of the finest vessels in the Caribbean charter fleet. Their success in the charter world is reflected by their repeat clientele! Over 80% of their guests have been back to charter McGregor at least 3 times!! Captain Tim Miller hails from Colorado, where he graduated from C.U. with a degree in Biology. He has been teaching SCUBA diving since 1979 and is a certified instructor with PADI, NAUI, SSI and CMAS certifications. He spent six years teaching diving worldwide, including Mexico, Tahiti, the Red Sea and extensively throughout the Caribbean. With Tim, your snorkel and dive experiences will always be safe, relaxed, and unforgettable. Capt. Tim has had his 100-ton U.S. Coast Guard license since 1986, when he departed the mainland and headed toward the Virgin Islands. After exploring these magnificent islands, he set up home base in St. Thomas aboard McGregor I and began showing family, friends, and guests the hidden treasures of the Caribbean. An avid sailor as well, Tim has made two Trans-Atlantic crossings on 100' sailboats. His other interests include horses, hiking, snow skiing, and running a small adventure camp for children. Chef Julie Brown has been exploring the many coves of the Caribbean Sea for the past 15 years. Living in Southern California’s wine country, Julie’s culinary education specialized in the elegant balance of nutritional foods and fine wines. Her cuisine features fresh fish, tropical fruits & vegetables and, of course, mouth-watering desserts, such as the Captain’s favorite, wild berry cheesecake. Before joining McGregor, Julie’s background in catering and her love for the sea lured her to the warm, blue waters of the Virgin Islands. Her interest in the underwater world began during her years at Mary Baldwin College and the Duke University Marine Laboratory. During her final year at the Marine Lab, she passed her days studying and training octopuses. An avid snorkeler and certified SCUBA diver, Julie is always on the lookout for her old eight legged friends.